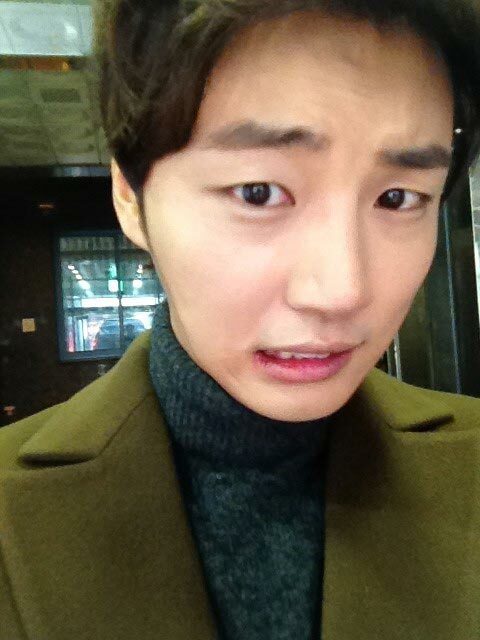 The self-shot photo of actor Yoon Shi Yoon with weird expression exposed. On the morning of December 6th, 2011, Yoon Shi Yoon uploaded a photo on his Twitter, and wrote, “Removed the wisdom tooth… Oh.” In the photo, Yoon Shi Yoon showed a painful expression after pulling out the wisdom tooth, eyebrows tightly cramped, feeling terrible. Although he was wearing casual cloth, but his outstanding facial features and lovely charm, cannot be impeded, very eye-catching. After seeing the photo, netizens left message one after another, said, “It hurts, right?” “I understand the pain, is really very uncomfortable, indeed an actor, this expression…” “in the self-shot photo also has image of Seo Jae Hee, so cute so handsome,” and other responses. In addition, Yoon Shi Yoon is playing the role of Seo Jae Hee who hides his wealthy second generation identity in MBC TV’s Wednesday and Thursday drama Me Too, Flower! and has a sweet love with Lee Ji Ah.